Is it the weekend yet? Cause we’re ready to have another batch of these chicken fajita quesadillas! We had some left over chicken fajitas and whipped up a fantastic quick lunch by making these chicken fajita quesadillas. They were super crazy good, we had to make a quick little video of it of it for you guys to drool over. This recipe doesn’t get easier than this: Make our popular chicken fajita recipe here, then layer it with some cheese between two tortillas. Brown it on both sides to get it all cheesy, oozy and delicious. Wham! This was our lunch and you can enjoy it too! Make sure to add beer and some milk for the kiddies. 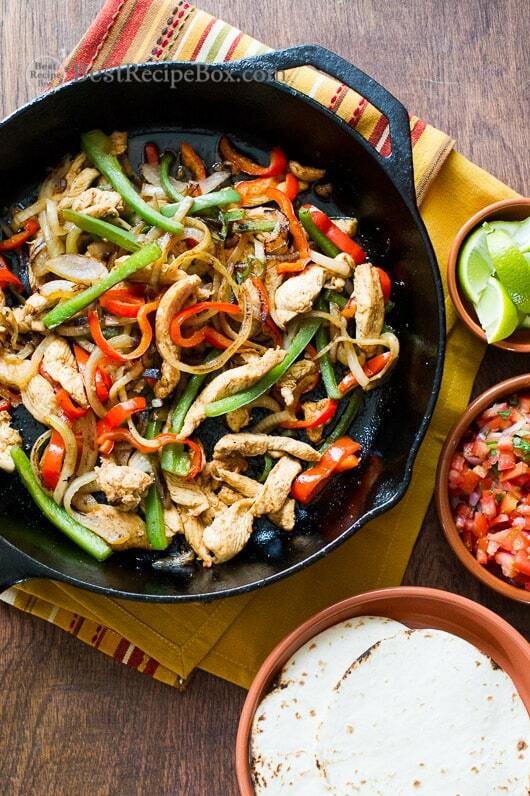 Here’s the link to our chicken fajitas recipe! They’re super duper amazing for quesadillas.